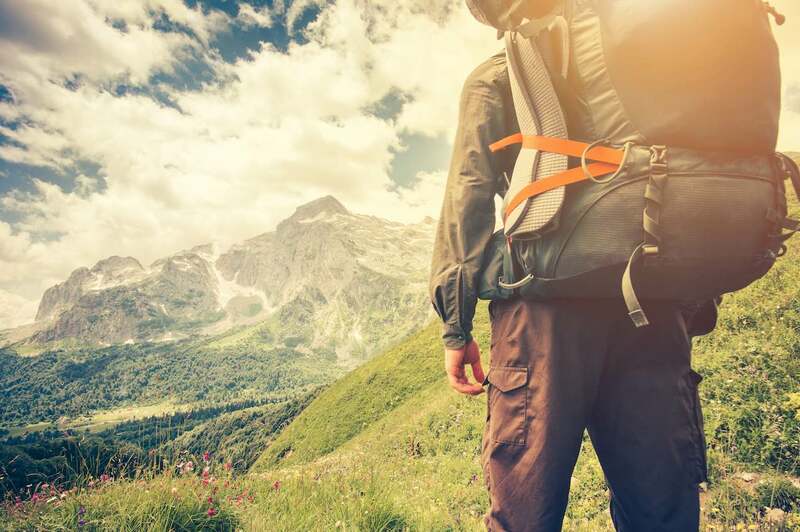 When a big trip is on the horizon, or perhaps even just a quick weekend getaway into the mountains for some R&R, a good backpack is an essential thing to have with you on the road. It will serve as your portable home base when you are away from home, and should be packed with are to allow easy access. 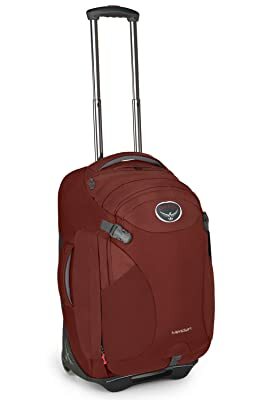 When traveling, backpacks are often preferred because they keep your hands free, unlike traditional suitcases, and are incredibly easy to take with you from place to place. When shopping for the best backpacks for travel, an upfront spends can save quite a bit of a headache later on. 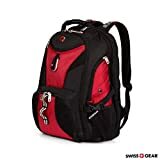 A high-quality backpack will last for many years and accumulate a lot of memories, so it is important not just to buy the cheapest backpack available. You will end up saving money when you buy the top quality packs because they will not need to be replaced for a long time. Osprey’s popular travel pack is simple and to the point. This pack will travel thousands of miles with you and still be ready for more. Everything on the pack is reliable, from the zippers to the straps to the back support and separate pouches. It is relatively compact when empty and fits carry-on specifications. The fixed back panel prevents having to mess around with adjusting for comfort, it comes already maximized. This is especially relatable for those who have traveled with one of the old metal-backed backpacks that get uncomfortable after a while. This will never be an issue with the Osprey Farpoint. The zippers of the compartments have loops that can be used for a lock. 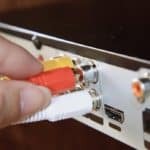 Super useful if traveling to less secure areas. The pack is made with water-resistant material and if a darker color is selected (such as black) the pack retains a new-ish look for quite a while. It comes with a separate daypack for short excursions, saving you the hassle of carrying the main pack around all of the time. Leave it in the hotel room or locked up in the hostel and use the daypack for quick trips around the city. 55L capacity with the daypack, meaning that fitting all of the clothes and essentials for backpacking trips is a breeze! For lovers of the outdoors. The North Face makes some of the best packs and products on the market, and the Terra 65 is no exception. 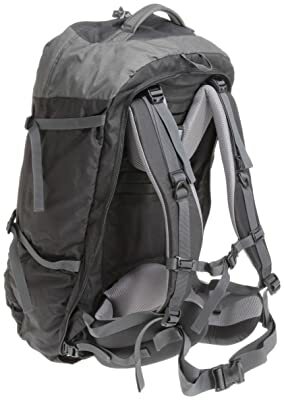 This backpack is ideal for two situations- long hikes and overnight camping trips (the pack can fit food and water as well as backcountry medical necessities), and backpacking trips where the user needs to have easy access to everything they need on a daily basis. This is especially true for those that will be visiting primarily cities and don’t want a huge oversize pack to lug around the entire time. This is definitely one of the best backpacks for travel. It has a large zippered entry to the main pocket, allowing users easy access to the items they have packed down at the bottom. This is a great innovation and I am surprised not more backpacks have this feature. The main pocket is roomy enough that larger items like clothes seem to fall into place or disappear. It feels like a suitcase in this manner- a wide variety of items can be packed efficiently and tightly. It is built for long hauls that necessitate a good amount of stuff- while still fitting comfortably on your back. It won’t be permanently stretched out if packed super tight. The hip belt on this backpack is the best there is, period. It does wonders to spread the weight of the load around evenly. It is softened by air mesh so that rubbing and chaffing are not an issue. The North Face uses its OPTIFIT suspension fit system to maximize comfort when packed full. Every feature of this backpack is top quality and will not tear or break off. The sides of the pack have belts which can be used for hooking attachments onto if necessary. The vast number of pockets and pouches make storing important documents like passports, boarding passes, and wallets easy to do and also easy to access in an instant. Users will never have to just throw their passport in the main pouch and then dig around for it when they need it. 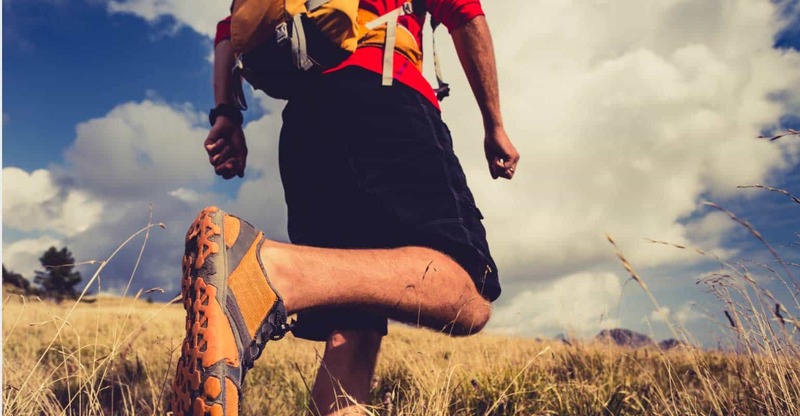 Ease of motion is what users will find with the Kelty Redwing. It is one of the best backpacks for travel because the team at Kelty have taken the traditional backpack design and made it more efficient but restructuring the layout of the zippers and the way users can reach their belongings. It is made of polyester and will not tear without significant effort. It is incredibly easy to organize your stuff. A great line of view offers a unique way to see the way your items are arranged. Where with most backpacks it is tough to see down into the pack, Kelty has specifically eliminated that issue with the Redwing 44. On the inside, users will also find a netting liner that allows for easy storage of things that need to be grabbed out of the bag frequently. Although it can fit carry on regulation, this pack often seems to be larger than it actually is. The main pocket has so much storage room that if you have extra space and need to squeeze it down to a smaller size, you can do so without worry of ruining the bag. The overall build of this backpack is unlike any other- it hugs your back and the shoulder straps seem to be anatomically designed to fit easily around the shoulders. They don’t pull or apply extra pressure on the shoulders the way that a lot of backpacks do. 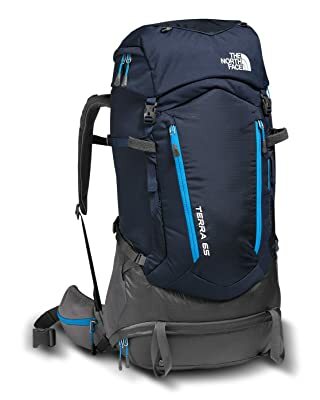 If long distance hiking or walking (like touring temples in Southeast Asia, or doing a weekend backpacking trip) are in the plan, this backpack will suit you very well. The zipper pattern is U-shaped, which is what allows the user to easily view and access the full scope of their belongings inside the bag. The LightBeam single aluminum stays as well as the Dynamic AirFlow back panel make this back extremely comfortable and put it in line with the best backpacks for travel. Even when heavily packed, the design of this backpack allows it to be compact enough to fit into overhead storage bins. While it likely won’t fit underneath the seat in front of you, many airlines around the world don’t allow for that type of storage anyway, unlike most US airlines. Deuter is a brand that does not have the name recognition in the US that Osprey and The North Face have, but this pack is absolutely one of the best backpacks for travel. The pack weighs only four pounds when empty and buckle tightens extremely well. If you are a light packer, it is possible to tighten the straps and make this back rather compact. The day pack that comes with it is simple- don’t expect to do anything fancy with it. It is most effective for short day hikes, trips, or tours that won’t last longer than a few hours. It is made from Deuter Super Polytex and seems to deflect dirt, moisture, and other hazards in a way that most packs do not. While minimizing the number of pockets and zippers, Deuter has managed to maximize the amount of storage space without making an extra-large bag. This is probably the best selling point of this pack. The pouch at the bottom of the bag, accessible via zipper from the outside, is perfect for storing important documents in a place that you can feel them while making it extremely hard for anyone to open and steal them. At first glance, you may not even notice that pouch is there. U-shape opening to the main compartment zips very easily and quickly. It will not get caught on the material. The combination of a backpack and traditional luggage here is very innovative. I suppose it is meant to make the Meridian as versatile as possible- and it works. This bag is about three inches taller than smaller Farpoint bags like the Farpoint 40. This bag honestly screams quality as soon as you see it- the material is thick and durable. The zippers are high quality and won’t break off on the first day. It fits laptops and accessories alongside clothes and other necessities without any problem at all. Truly designed for the professional traveler. While it also serves as a traditional daypack with a good amount of storage room, the Meridian has a pull handle and wheels and can be towed by hand like a suitcase. It has an external zip top pocket that is perfect for small items like toiletries and ID documents. This carry-on sized bag is ideal for those who travel frequently and professionally. 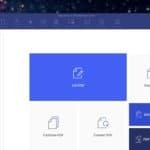 It is easy to keep organized and grab things out of it without having to remove everything else on top of it to get to it. It will fit in any overhead bin with no problems. If traveling on strict budget airlines, they may ask you to measure the bag but unless it is jam packed it should be suitable for carry-on. The wheels are actually rather durable- they can roll on just about any surface and the bag remains upright. No problems with the wheels squeaking or stalling out. Also has a zip-away backpack, saving users from having to lug a suitcase around on day trips. 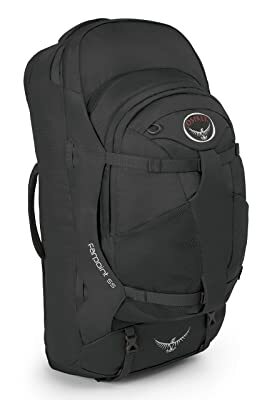 Osprey has really thought of everything with this setup- you would be hard-pressed to find a more convenient bag setup anywhere, making this one of the best backpacks for travel. Skis/snowboard/other outdoors item – Are you an outdoors enthusiast? Many of the best backpacks for travel have straps to hold the items you will want to carry with you into the backcountry. Water bladder – Another great feature for outdoorsy types or anyone planning to travel to a hot climate. General storage – How many items are you planning to bring? Do a practice pack up before heading out of town and always leave room for one or two extra items that you may need to pick up on the road. Cup holder – If you will be carrying a water bottle or other beverage with you, look for a pack that has a cup holder on the side. Will it work as a carry-on? The maximum size for carry-on baggage on most major airlines is 9 inches by 14 inches by 22 inches. If you plan to have this as your only pack while traveling, perhaps you are willing to pay for the bag to be checked. If not, you may want to consider buying a backpack that is within these dimensions. On this note- some of the best backpacks for travel are collapsible and can compact down to a smaller size if they are not fully packed. This can be a great benefit if you start a trip with fewer belongings that you will come home with, and can make a pack that normally is too large fit into the carry-on regulations. If out on a hike or walking through a busy market, it is important that your backpack isn’t going to catch on things and rip. Having a backpack with an excess of straps flailing around all over the place increase the chances of it getting caught on something and potentially tearing the fabric. Equally important, especially in places where you have not been before and are not familiar with the culture, is the possibility of theft. Can the backpack be cut off of your shoulders quickly by a razor blade? Stories abound of travelers having their packs stolen while backpacking internationally. Be sure that the backpack you choose can be tightened securely and preferably is made of non-cut materials. Look for a backpack that won’t tear easily, and that has strong straps that will stay tight on your shoulders. Are you a frequent day tripper or weekend warrior? 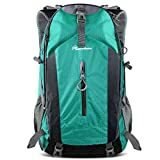 Many of the best backpacks for travel also serve great for small trips like day hikes and car camping. This is why it is important to consider all aspects of backpack use before buying. Make sure it is durable and built well! Find a backpack that is lightweight when empty. Consider buying a warranty from the manufacturer or store, if one is available. There are many backpacks on the market. Here we have taken a look at five of the best backpacks for travel. Each of these packs has its pros and cons and to be honest, will do just fine for most situations. 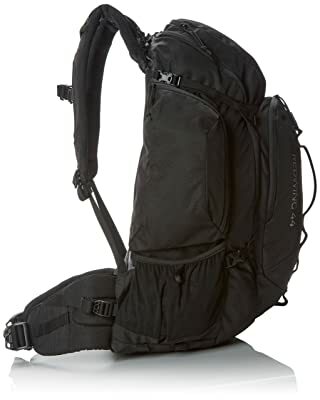 But the one backpack that clearly stands out from the rest is the Osprey Farpoint 55. This pack retains a good amount of storage space while being more compact and simple than The North Face Terra 65. It is comfortable and aesthetically attractive while boasting every practical feature that a traveler could want on an extended trip. It is tough to break into because of the easily lockable zippers. The quality of the pack means that with proper care, it will last a lifetime without the buyer having to spend any additional money. 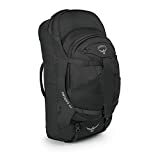 For the value and the experience, the Osprey Farpoint 55 is the best backpack for travel.